BUDDY HOLLY: 20 GOLDEN GREATS: BUDDY HOLLY LIVES: 1978: 5 STARS OUT OF 5 STARS: The great Buddy Holly in 20 of his greatest songs. This reminds me of what was later put out on Chuck Berry- “The Great Twenty- Eight”- certainly with both artists to capture all their greatness you need more than just the one purchase but it’s a great introduction- leaving you wanting more. This was the first Buddy Holly I owned- not long afterwards I ran into a box set The Complete Buddy Holly. I can’t think of a better way to begin a new year of music listening than Buddy Holly! THE KINKS: KINKS KONTROVERSY: 1965: The Kinks 3rd album- 11 of the 12 songs were written by The Kinks- 10 by Ray and I Am Free by brother Dave. They continued to progress- Kink classics on this- Til The End Of The Day which went to #8 as a single in the UK and Where Have All The Good Times Gone. I’m On An Island, The World Keeps Going Round and I Am Free are also outstanding. The Kinks had arrived. ELVIS PRESLEY: FROM ELVIS IN MEMPHIS: 1969: Elvis was back. After years of bad movies and bad movie soundtracks for the most part- Elvis in late 1968 had his Comeback Special on television and then went into the studio to record this album and Suspicious Minds which was released as a single but not included on this album. 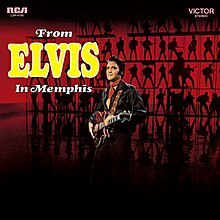 In The Ghetto went to #3 as a single [written by Mac Davis- perhaps his finest moment writing that song} The key to the album- fine song selection and an engaged Elvis. If he had only stayed away from Vegas and the capes and jumpsuits- and ditched the scumbag Col. Tom Parker. CROSBY, STILL AND NASH: CROSBY, STILLS AND NASH: 1969: CS&N’s debut and most legendary recording. Suite: Judy Blue Eyes and Marrakesh Express were moderate hits- Guinevere, Wooden Ships, Helplessly Hoping and Long Time Gone are other notables from the album. This album was one of the forerunners into the singer-songwriter- mellower sound that would become more prominent in the early 70’s. The best thing about the album- the harmonies. They may not have gotten along over the years all that well but they sang well together. This album is their finest moment. Sold over 4 million copies. XTC: GO 2: 1978: 2 STARS OUT OF 5 STARS: XTC’s sophomore album came out the same year as a debut. Maybe a mistake- its a disappointment after the promising debut. Same manic style that dominates the debut but the material isn’t as strong. No singles were released from this. Again they should have been patient. The material is all written by the group- they just didn’t have the quality of songs ready for an album. A rush job. LAURA NYRO: ELI AND THE THIRTEENTH CONFESSION: 1968: 5 STARS OUT OF 5 STARS: Nyro’s second album and her most famous. Love her singing voice. Three songs here were hits for others- Sweet Blindness, Stone Soul Picnic and Eli’s Comin’. She wrote all the songs- and insisted that the lyric sheet be perfumed. There are those who say 50 years later it still has a pleasant scent. Paul Shaffer has said that this is his desert island album. ENYA: A DAY WITHOUT RAIN: 2000: 5 STARS OUT OF 5 STARS: When I hear this album it brings back memories of 9/11- it was a big hit following 9/11 due to the single “Only Time” being played by several networks in the aftermath of the attacks. I don’t listen to Enya often but I do find her music relaxing. 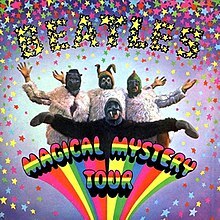 THE BEATLES: MAGICAL MYSTERY TOUR: 1967: 5 STARS OUT OF 5 STARS: I had to listen to some Beatles to set the New Year off to a great start. GO2 has an excellent cover though. Great music block. I own and love all the albums here–including Bat out of Hell. I’m not a Jim Steinman fan–he is too theatrical for my taste–but I do think Meat Loaf is a great singer and performer. 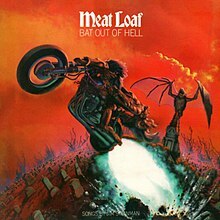 I know that sounds very contradictory–but I think Meat Loaf elevated Steinman’s material and the whole experiment came together beautifully with Bat out of Hell. It was downhill after that. I agree the songs on Bat Out Of Hell succeeded because of Meatloaf- he did a great job with what he was given. I can’t imagine anyone else pulling it off like he did. And I do give the man credit- that album was over 40 years ago and he’s still making a living off of it. Any day spent listening to Buddy Holly; Crsoby, Stills & Nash; and The Beatles is a very good day! It was a good way to start a new year. My dad loved Buddy Holly. He swore that, if he hadn’t died in the plane crash, Elvis wouldn’t have been as big as he was. The only song I ever liked from CS&N was Southern Cross. Love Enya. Jim Steinman was over the top theatre. He would have been better suited to do Opera. But, his stuff was good for Meatloaf, Bonnie Tyler & Celine Dion. I bought his version of “Rock & Roll Dreams” & it’s pretty good. Some if your stuff is new to me. I prefer Buddy and Chuck Berry over Elvis but Elvis wasn’t bad… I forgot Steinman also wrote stuff for Bonnie Tyler.